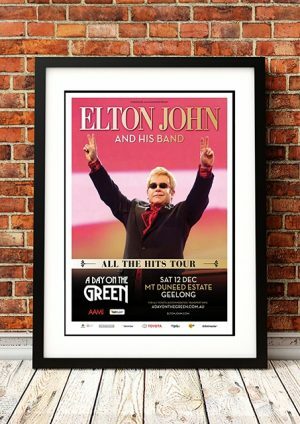 Buy Online Now! 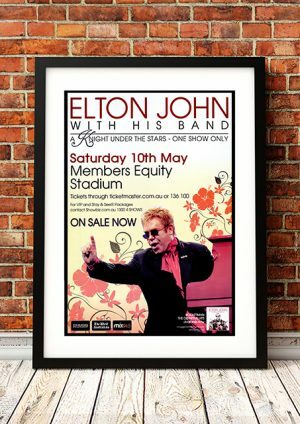 Classic Elton John Concert Posters and Memorabilia! 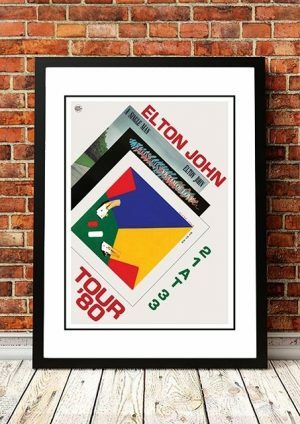 Born on March 25, 1947, in England, Elton John’s unique blend of pop and rock styles turned him into one of the biggest music icons of the 20th century. He also found success on Broadway, composing the score for Billy Elliot (2008), which went on to win 10 Tony Awards. He was inducted into the Rock and Roll Hall of Fame in 1994 and was knighted in 1998. We stock a couple of awesome Elton John Prints.